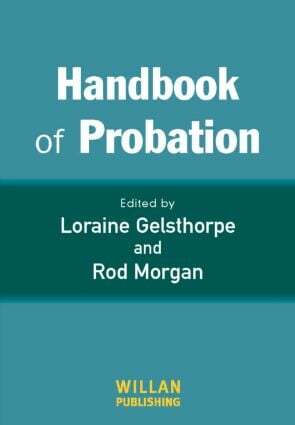 This Handbook provides a comprehensive, authoritative and up-to-date source of information and analysis about all aspects of the work of the Probation Service. It takes full account of the many changes that the Probation Service has undergone over the last few years, and is currently undergoing as probation becomes part of the broader National Offender Management Service. Contributors to the book are drawn from leading academics and practitioners in the field, drawing upon the best expertise available. Running through the book is a concern with a range of key current issues such as addressing the diversity of offenders and creating effective links with other criminal justice agencies, and it includes perspectives from both probation service staff and from offenders and victims. This book is an essential text for practitioners, trainees and students of probation and those studying it as part of a wider criminology or criminal justice course. The Probation Service as part of NOMS in England and Wales: fit for purpose? Part 3 What Works in Probation? Past, present and future sentences: what do we know about their effectiveness?